Are you investing in gold? Then can we suggest reading how the gold markets work? It will save you money by helping you avoid a purchase of gold costing 10% more than it should. You needn’t make that mistake. We can show you clearly how to buy the most trusted form of gold in the world, at the best prices, and in the safest, easiest way. Gold investment worldwide has grown dramatically in the last five years, but compared with the total stock of financial assets, gold bullion investment is still just a tiny proportion. Several factors are now stimulating gold investment by new pension fund money – as well as by private investors. Sales of gold jewelry across Asia are surging as the local economies boom and private investment grows. China’s gold investment demand grew by 20% in 2007, while Indian consumers bought a record 900 tonnes – well over one-fifth of the total world market. Gold buyers in Asia tend to think of their jewelry as a form of gold investment. Prevented from owning gold bullion until very recently, they invest in gold to protect their savings from inflation and currency shocks. That’s why the most popular form of gold jewelry in Asia – heavy chains and bracelets – is known as “investment jewelry” in the gold industry. Gold mining companies worldwide have failed to meet the growing demand from gold jewelry and gold investment buyers, pushing the gold price steadily higher. The former world’s No.1 gold mining nation, South Africa, has seen its annual gold output halve since 1998, and new operations in China and Russia – though growing – have failed to pick up the slack. According to consultants “Virtual Metals” total world mining output has fallen by 4% since 2003. Their gold investment analysts don’t forecast an early return to growing output. As the US Dollar has slumped gold investment has outstripped the gains in all major world currencies. In the five years to 2008 buying Euros to defend against the Dollar’s decline has returned 47%. Gold investment, on the other hand, has returned 131%. British, Australian, South African and Indian citizens undertaking gold investments in 2007 all enjoyed the gold price reaching record new all-time highs. The surge in crude oil prices has closely matched the gains in gold prices since 2003, but many people now thinking about gold investment will also want to consider the surge in world food prices, the boom in base metals such as copper, and the current all-time highs in the cost of shipping. Rising demand for better housing and durable goods from Asian consumers is certainly a factor. But many gold investment analysts also point to the huge growth in credit and debt in the West. The money supply in the United States has doubled in the last seven years. In Europe, growth in the money supply hit a near-30 year record in late 2007, increasing the appeal of gold investment as the value of each Euro in circulation threatens to shrink under the weight of new notes and electronic account balances. “Financial innovation in the last few years has been extremely strong and powerful,” as Gilles Gilcenstein, head of asset management at BNP Paribas, put it in late 2006. We’ve now seen this bubble in complex and novel investments bite back. The global credit crunch first bit when the alphabet soup of MBS, CDOs, CDS and ABCP turned sour as the US mortgage market turned down. These instruments thrive in the opaque, off-balance-sheet environment of modern financial engineering. But transparency is important. The modern world has audited accounts, and open exchanges, and ‘public’ companies for a good reason: because previous generations understood that when investment stops being open and transparent, and reverts to cosy secret deals, complex contracts, and big executive bonuses, then it is general investors who get cheated. Transparency helps stop these problems developing. In stark contrast to the burgeoning complexity of modern securities markets gold investment remains uniquely simple, and – dealt the right way – uniquely transparent. A solid gold investment sets you free from the risk of credit default or banking failures. Newly mined only: The gold content was produced from newly mined gold (doré) and not from secondary gold. 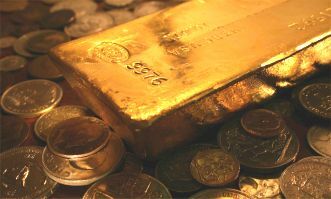 Conflict free: The gold content was produced from doré with warranties confirming conformance to prevailing conflict zone regulations and guidance from the World Gold Council (WGC) and the London Bullion Market Association (LBMA) which, in turn, adhere to due diligence guidelines by the Organisation for Economic Co-operation and Development (OECD). Segregated production line:The production line for the gold content was completely segregated from other doré, recycle streams and secondary gold that do not have the appropriate warranties, at all stages of the refining process.